And sometimes for the oddest stuff. Well, coming back to my cravings… it was for Banana Cake! This is actually readily available in most bakeries everywhere – in fact, there’s also a stall at the wet market selling this. After all, bananas are available whole year round here and not that expensive too. But… rather than taking the easy way out and just buying it, I took the trouble of baking one myself. You see, the problem was this: I find most cakes sold in bakeries/market are either too sweet or too full of artificial flavours or worse, there’s too much soda bicarbonate in them (especially in banana cakes)! 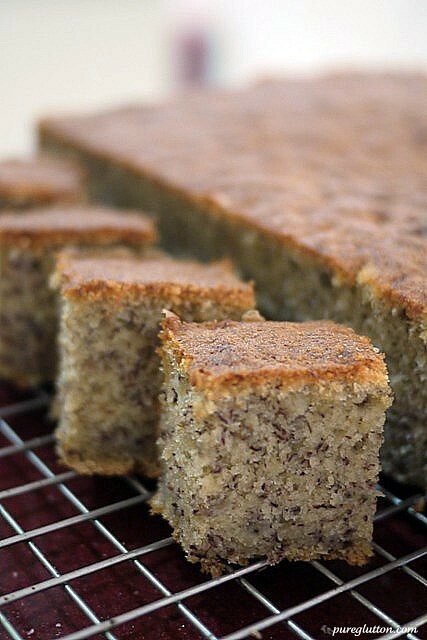 For banana cakes, I always use pisang rasthali/manzano bananas as they give the best flavour and texture to the cake. Do use very ripe ones as those which are not ripe enough will give a certain tartness to the cake, which, I find to be quite unpleasant. Your banana cake was so looovely! I also like pisang rastali. Gives a nice texture to the cake. Thanks, Marian – pisang rasthali is the best banana for cake! Oh I remember this with such fondness! It was so wonderful with my morning cuppa! Witch: Banana cakes are easy to love eh? 😉 Come over before it’s all gone, LOL! Wow your banana cake looks lovely! I used to bake banana cakes all the time whenever they became too ripe..
Baby Sumo: Thanks 🙂 Yes, ripe bananas are excellent for cakes! I love banana cakes that are speckled. 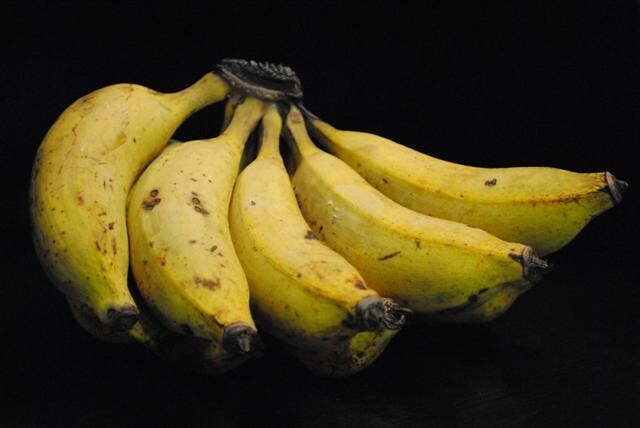 I have difficulty finding bananas like the rastali here which gives a fantastic speckled appearance and great aroma. Maybe I should try some of those small Indian bananas which look like our rastali and see how it goes. They did make nice kuih kodoks though but not as fragrant as our local pisang. 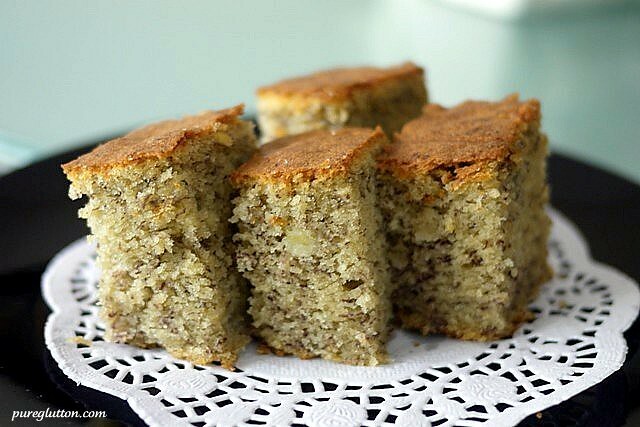 If you’re on the lookout for other banana cake recipes, this one is quite good (http://auntyyochana.blogspot.com/2006/07/banana-cake.html). Really light and moist. I don’t like those banana bread-type as they are too dry and dense.